We live in so-called “exponential times”, where companies and their businesses are evolving at an ever-increasing speed. A method for these companies to stay competitive is the continuous investigation of new approaches, technologies, and materials that enable the introduction of new products or services. 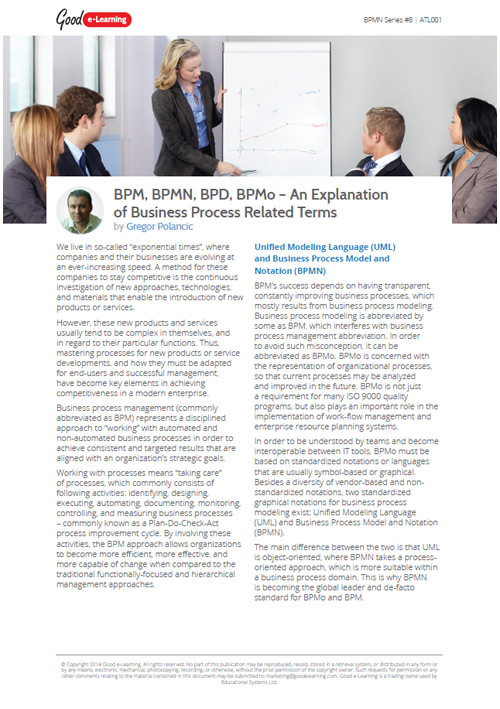 In this article, we'll be looking at the acronyms BPM, BPMN, BPD, and BPMo and discussing what they mean.